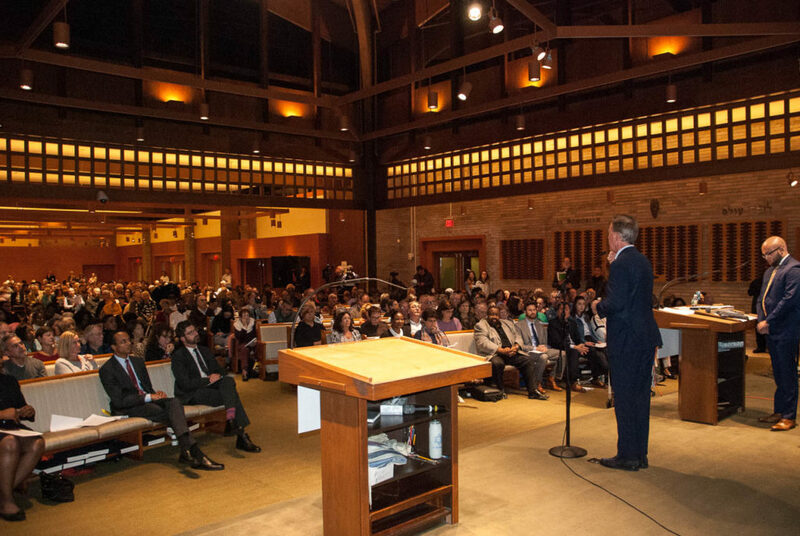 On Monday, Oct 22nd, more than 750 CONECT members turned out for our 2018 General Election Candidate Assembly at Congregation B’nai Israel in Bridgeport. Candidates for Governor, Attorney General, and Treasurer attended and answered questions concerning gun violence, immigration, healthcare / mental health, and criminal justice reform issues. News 12 CT and WSHU Radio covered the Assembly. CONECT also published a brief Report on the Assembly as well.